Harold W. Stevenson was a psychologist whose work made conceptual and empirical contributions to our understanding of children’s learning. Following the completion of his Ph.D. degree in psychology at Stanford (1951), his work on understanding the development of learning utilized experiments that typically used either animals or adults. His rigorous paradigms were employed to study learning with a focus on issues such as tangible vs. social rewards, effects of fear of failure, central and incidental learning, and visual display learning, especially television. His book, Children’s Learning (1972) became a leading source of information and his students became the leaders in pursuing our understanding of the developmental processes involved in early learning and cognition. Stevenson was invited to visit China with a group of U.S. specialists in child development in 1973, shortly after scholarly exchange was opened between the two countries. This opportunity to learn about children, families and culture in China opened a gateway for pursuits and exchanges, and it began a new approach to scholarship for Stevenson that changed his work fundamentally for the next three decades. His studies compared children’s achievement in Japan, Taiwan, and China to achievement in the U.S. A finding that gained special attention was that U.S. kindergartners, first-graders and fifth graders lagged behind children in the other two countries in reading and mathematics. The children in the U.S. also spend less time on homework, fewer hours in class, and wasted more time while in class. Stevenson argued that the differences were not due to differences in intelligence; rather parents in the U.S. tended to be more satisfied with their children’s performance and were less involved in schooling than the Asian parents. This influential work gained attention in the U.S. in the early 1990’s and became the basis for a re-examination of teaching and learning in the American school system that continues to be discussed and debated today. His many publications on this work continue to be cited. 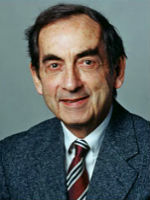 During his career, he served as professor at the University of Texas, the University of Minnesota and the University of Michigan. While at Minnesota, he served as director of the Institute of Child Development and is credited with building the Institute into one of the leading centers of scholarship on developmental psychology/science in the country. At Michigan he established not only his research program on cross-national studies of learning, achievement and culture, but also established the Bush Center for Child Development and Social Policy. His commitment to the pursuit of applying research on children and families to important issues in society became one of his major legacies, and there are successful programs today that were started and are directed by his former students. His many awards and accolades include serving as the president of the Society for Research in Child Development and receiving the William James Fellow Award from the Association of Psychological Science. He will be remembered for his decades of contributions to the understanding of intrinsic processes and contextual factors that influence children’s learning, for his role in establishing cross-cultural studies in developmental science, and in opening the way for the science of psychology to become a major player in public policy. * The FABBS Foundation would like to thank Dr. John W. Hagen for nominating Dr. Stevenson for this honor and for leading the effort to spread the word about his nomination. Would you like to honor Dr. Stevenson? It’s not too late to have your name added to the list of donors! You can make your donation to Dr. Stevenson’s In Honor Of… campaign at anytime.